Fat Girl to Thin: Major MILESTONE!!!!!!!!!! I AM TOOOOOOO EXCITED FOR WORDS, But you know I have some. Thanks guys we have reached a new milestone that I couldn't be happier about!!!!! Today the blog hit 100,000 hits. Thanks guys for sticking in there with me. Here's to 100,000 more!!!! 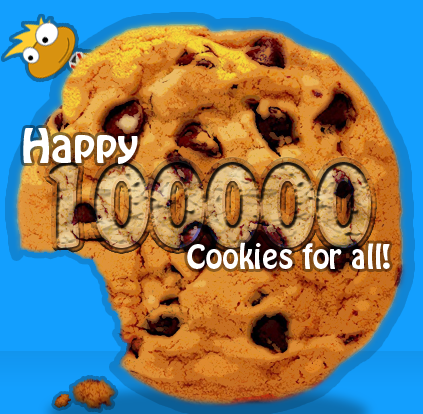 Just run to your local bakery and buy a cookie to celebrate with me! Woo hoo!! Very exciting. Thanks for posting and keeping me motivated and entertained! !